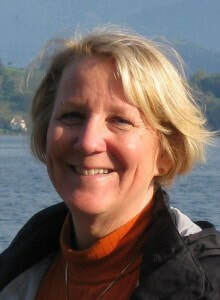 Lisa Graff is an accomplished essayist and journalist and has published over 50 articles. Her essay, “Getting My feet Wet” was the nonfiction winner in the 2012 Rehoboth Beach Writer’s Guild/Delaware Beach Life Magazine contest. “My father, my son” was published in The Washington Post. (March 19, 2011) Other personal essays in the Washington Post include, “No teacher can Compensate for Neglect Many Kids Suffer at Home” (November 3, 1991, winner of the AAUW Mass Communications Award) “Labor’s Pains” (Health, 1995) and “Code Blues Brought Fear to Classrooms.” (Montgomery Extra, October 2, 2003) “My Father’s Death from Alcohol” appeared in 1990 in Woman’s World Magazine. Lisa published numerous articles and wrote a regular column in the Gaithersburg Gazette. Lisa Graff taught high school English, Speech, and Drama in MCPS, Maryland and became a leader in the field of English as a second language in grades K-5. Retired in 2010, she resides in Lewes, Delaware, where she is an active member of Friends of Cape Henlopen State Park, the Georgetown chapter of AAUW and the Rehoboth Writers Guild. Ms. Graff holds a BA in speech communications and English from Frostburg University (1976) and an MA in theater from Northwestern University.